Shuriken (a blade hidden in the hand) is a weapon to throw (occasionally it is used for striking purposes) to hold secretly. They came shaped as nails, needles or stars. Mostly shuriken pieces were made from scrap materials as they were disposable items to use and disappear. Shuriken-jutsu practices a huge variety of shuriken, all depending on the weight, size, range of precise throw and the way of application during infighting. 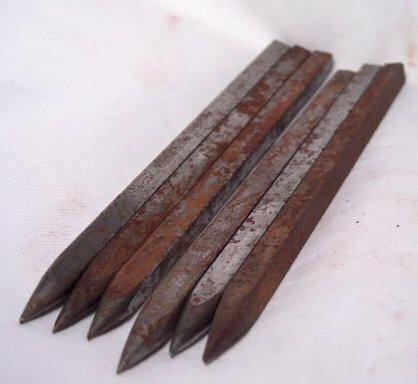 • Itaken (Taira) (plan section spike – “board blades”) is the classic type of shuriken, which comes as the long flat bar of steel pointed at one side of 2 to 3 mm thick, 1.5 wide and approximately 15 cm long. This is a perfect weapon to throw at 6 m distance which is widely employed for infighting purposes. • 8 cm range weapon, weighing about 50 g. This weapon is used to throw by any horizontal or vertical throwing technique, at a distance of up to 6 m, since the opponent might by injured by the short rays of this shuriken. This piece is not used in the close combat. • O- shenban-shuriken (square shuriken with incurved sides) of 11.5 cm range, weighing about 75 g. This shuriken is good to use for close combat and throwing at a distance of up to 8 m. A firm and strong throw is required. 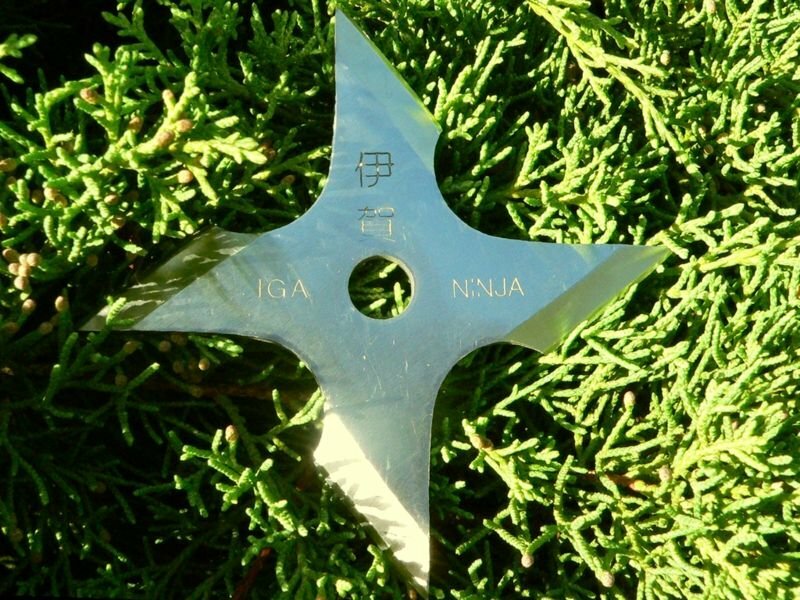 • Ko-shenban-shuriken (small square shuriken with incurved ends) of 8 cm range, weighing about 40 g. This is a perfect tool to be used for horizontal throwing at a distance of up to 7 m, but not used in the close-up action due to the shorter spike (finger cuts possible). • Hakkaku-shuriken (octagonal shuriken) of 8 cm range, weighing about 50 g. This weapon is good for any throwing technique (whether horizontal and vertical) at a distance of 10 m. It is not recommended for infighting purpose. 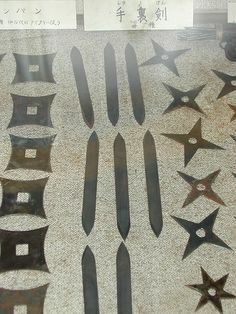 There are different kinds of shuriken among these weapons but rarely used as Manzi-shuriken (gammadion-shaped shuriken), Judzi-shuriken (a cross-shaped shuriken), Gokaku-shuriken (a shuriken in the shape of a five-pointed star), Tatami-Judzi-shuriken (folded shuriken in the shape of a cross), Sanpo-shuriken (triangular shuriken) and so forth. The phrase that says «Ninja often used shuriken which were previously treated with poison» was mentioned in most Ninja and Ninjutsu-related sources. The authors of these works might suppose secret recipes, but it actually seems much easier. The two most common poisons to treat shuriken were common rust and dung. In the medieval Japan, where immunization against tetanus or rabies was never practiced, there was high risk to get poisoned with these two substances into the blood. This could result in the longer death in torments to horrify the others and prove the belief in super capacities of night demons.